"The highest living Register of Merit sire, Ch Eko-Lan's Paladen, has produced thirty seven breed champions, numerous ROM progeny and several obedience title holders. 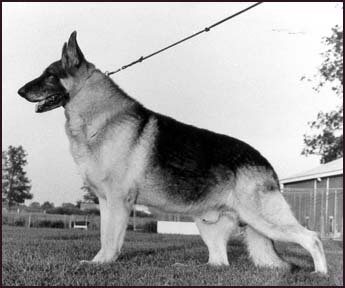 In his prime, Paladen was probably closer in the Standard structurally than any dog I have ever seen. If he had been more enthused about the show ring, he would probably have won it all."